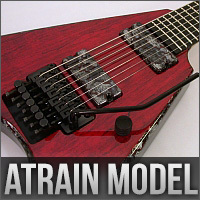 Here you can find our extreme guitar models, mostly designed for heavy metal and hard rock players. 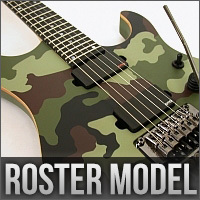 All these guitars feature the modern standard we have set up for our guitars since 2002. These instruments also display visuality to the extreme, which has become a trademark for our guitars. The axe from the frozen ground. The roots of the Amfisound story. The classic symmetrical, big V-style body allows you to play louder and lower than ever before. Yes, it’s true and it’s here! 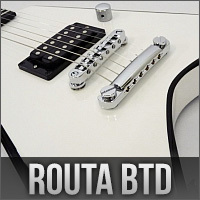 The long-awaited High-end ”bolt-on” ROUTA BTD model is available now! 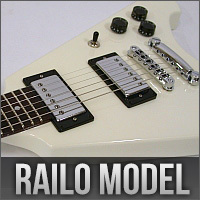 For precision shredding with effortless playing. This model offers a complete control of sound and an extreme visuality. 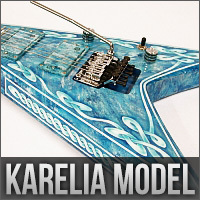 This model nails together those golden historical times and the modern standards we have established for our guitars. 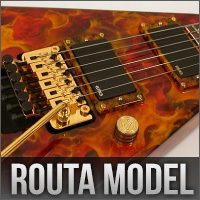 This model advances the course set by golden ’80s hard rock and heavy metal.